Home > Akashma, Awareness, News	> Is Hamas Being Too Extreme? Is Hamas Being Too Extreme? 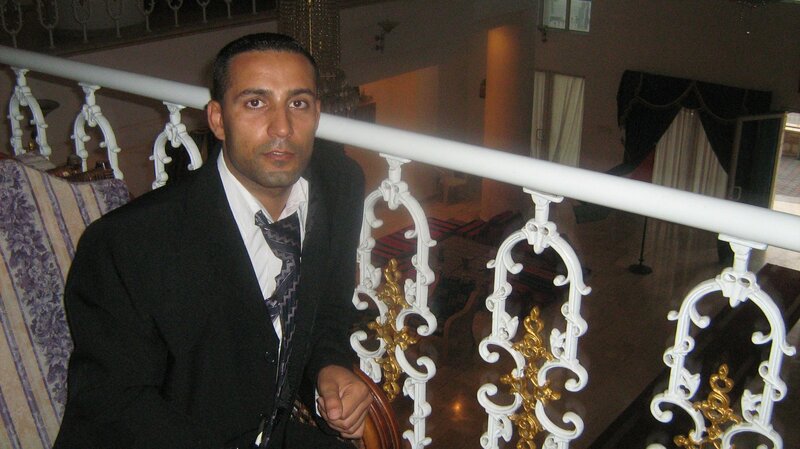 I m Omar Karem, I m Palestinian, Live in Gaza. I m amateur photographer, writer and blogger, I m not spy of Israel Or CIA, I do not belong to any political parties, I belong to Palestine and fight to Liberate her. I m being continuously harassed, detained, interrogated for no apparent reason other than being Photographers and having many friends inside and outside Palestine. The situation in Gaza is devastating for all its residents, the Israeli Illegal Siege has taken the industry to almost a complete halt, the farmers unable to export their products have two options, to feed them to the animals or to stop cultivating. The fishing industry after all the assaults in the fishermen and the 3 mile limit has paralyzed the fishing industry in Gaza. The Hospitals are running on generators which are not sufficient to satisfy the energy needs of the medical equipment, the whole Gaza Strip is immersed in desperation and need for food and products. And in top of all the necessity that the people live due to the blockade and the Occupation itself, Hamas has not stopped it harassment against the citizens. There are many accounts of abuses from the security forces of Hamas against journalists and regular citizens that dare to hold a camera, illegal detentions, incarceration, and confiscation of laptops and cameras, and cell phones are common complain. Gaza, Palestine(Akashma Web Blogs) Gaza is under attack, Israel have stepped up her attacks in the Besieged Gaza Strip and even under such circumstances the Youth of Gaza leading “The Initiative Call Home” staged a protest in the Square of the Unknown Soldier in Gaza City before they were ordered to evacuated the Plaza. The protest led by Young Palestinians to end the internal divisions is a sign that the Revolution that started in Tunisia and Egypt has sparked the light in Palestine. There is not to say that they did not want to brake the old rule, but with the air of Revolution and the global support is a good moment to engage the world in their calls for Freedom. The protest was broken up by security agencies of the Government by force, today they organized a sit-in group where Young People peacefully gathered to demand an end to the internal divisions, in the Square of the unknown soldier in Gaza City, Palestine. Their demands have been growing stronger since last December when the Youth of Gaza Broke Out, a movement started growing support around the world, when they declare in their Famous “Gaza Youth’s Manifesto For Change” made public by blogger, Opinion Maker Online Newspaper and many others News Outlets around the world. Omar Karem a photojournalist in Gaza and co-founder of Akashma Web Blogs have seen the rage of the security forces of Hamas in many occasions while covering the events in Gaza, the public sit ins demonstrating against the division, in the protests to support Egypt, in the March 15 but in On March 18, 2011 he was violently assaulted on the street in Center of Gaza, and forced to accompanied some security men for ‘questioning!’, but he was not take to the police department office, but to some rooms around the Unknown Soldier Square, ” before the incident occurred he witnessed how some other security officers also approached two foreign women and took their cameras. When he was in those small rooms, he saw how two other women were there probably arrested. He made a public denounce to Mr Hammad head of Security in the Interior Minister of Gaza, he was being treated as criminal and not as a Palestinians that is fighting against the same aggressor Israel. And again on February 01, 2012 after the demonstrations on Beit Hanoun he was arrested, his laptop, camera, and phone confiscated, his home searched and given an order to appear again for interrogation at Hamas Security Headquarters of Monday February 6 2012. The internal division and the paranoia is taking its toll, Hamas sees enemies in every person that walks in Gaza, not realizing that elections sooner of later will take place and they can not stage a victory, they need to win Palestinians to their side, unifying the people that has been divided for so many years of internal conflict. He is being accused by the Security Forces of Hamas of being Israel collaborator, CIA operative, FATAH member, Egypt Spy all absurd and nonsense charges that he denies categorically, for Hamas the idea of a Gazawan to externalize his opinions as a Citizens of the besieged Gaza or as a journalist telling the world the crimes that Israel commits everyday is censored as if this was a crime against the state. The way I see Hamas now throwing punches to the wind in its effort to curtail the opposition ideas to a system that is not working. Hamas has lose sight of what it is important. Israel was and still the enemy of the people, the people of Gaza are not enemies of the state, they all fighting for a common enemy, and all the Gaza society has to be united to be able to defeat so strong enemy, and Hamas as the government elected by the people of Gaza has to show restrain in its security extremes or lose the sympathy of the citizens that put them in the chair. No crime go unpunished, no deeds go unrewarded, if Hamas saw its victory in Gaza was because its support for its people, they need to stop the the harassment and see that the times are changing and they need to be the leaders to their people and not their oppressors. The youth of Gaza are in their twenties, they dress sporty, they are University Students, they are the facebook activist, the twitters, youtubers, this generation that want to change the old ideas, they want a new Palestine without the rigor of religion, without the stamp of millitary flavor, their envision a new Palestine United by their flag, their Land, culture and her people, they want to forget about the political parties that have damage so much the reputation of Palestine. It takes courage to speak the truth in a place such Gaza, that even with close to two million souls crumble down in a tiny strip of land, the news goes faster that Israel Bullets and the arrests of activists are to the order of the day. But with all the oppression and repression and Israel Occupation Gazawans don’t give up their hopes for a better Gaza, a New Gaza Palestine where diversity will be found only in the cultures and the International Peace Activists that have shared their struggles and not in the party lines that seems to divide the people. Now all the lies are exposed, the internal fights need to settled, the youth of Gaza is forcing the old leaders to rethink their role, to lead Palestine as a Nation and come as one voice. They created a big platform where all the dissidents voices can be heard and the obsolete policies and old practices be clean away.